LMA Manager 2001 is the second game in the LMA Manager series of football management games. The main game involves a 15 year career managing an English Football team (Premier, 1st, 2nd or 3rd division). There are also 14 shorter challenges ranging from winning the treble with 3 games left to winning 3 successive promotions from division 3 to the Premier in 3 seasons. The player is responsible for selecting the team line-up and tactics, buying and selling players on the European transfer market, selecting training schedules and managing the club's finances. 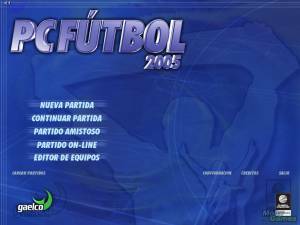 Unlike other console football management games of the time which were ports of existing PC titles, the LMA Manager titles were designed exclusively for the PlayStation. The game is notable for its intuitive control system, where the L1 and R1 shoulder buttons of the controller switch between different sections of the game (e.g. from the Transfers section to the Squad section), and L2 and R2 switch between sub-screens within a section (e.g. from the Select Team screen to Editing Tactics). The graphics of the first game, which had a rather retro look, have been improved to a more modern clean-looking design. The game provides a mini 3D match where the manager can make tactical changes during gameplay and 3D highlights afterwards commented by Alan Hansen (former Liverpool player turned BBC commenter). 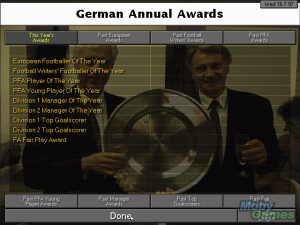 International versions were sold under different localized titles: BDFL Manager in Germany (Bund Deutscher Fußball-Lehrer, basically the German equivalent of the LMA), Manager de Liga in Spain, Football Manager Campionato in Italy, and Roger Lemerre - La Sélection des Champions in France.